As fall weather continues to bring heavy rain and winds in many parts of the country, homeowners may start to feel as though there’s good cause for concern. After all, the average roof will collect over 600 gallons of water with just one inch of rainfall. But even if your home’s roof is in good shape, it doesn’t necessarily mean that other parts of your home aren’t susceptible to water damage of some sort. Water can pose a serious risk to your home’s structural integrity as a whole, regardless of its source of entry. This is true with traditionally constructed homes as well as homes built using prefab or modular construction, in which structures are 60% to 90% completed in a factory-controlled environment. With that in mind, here are just a few advanced home tips to keep in mind to help you deal with flooding throughout the rainy fall season. If you’re unsure of just how much a risk increased rainfall and flooding poses to your home, checking your home’s flood level is a great place to start. Fortunately, there are multiple resources online available to help homeowners like you get a better idea of their own home’s flood risk. “It’s important to know the flood level at your home — an official measure of how high floodwaters could rise where you live. You can find this information by checking the flood maps at the Federal Emergency Management Agency’s website. Your local building department and your home insurance agent should have that information, too,” writes Terry Sheridan on Bankrate. Elevating your outdoor equipment may sound a bit unconventional, but it could save you thousands in damages if your area is ever hit by a flash flood. 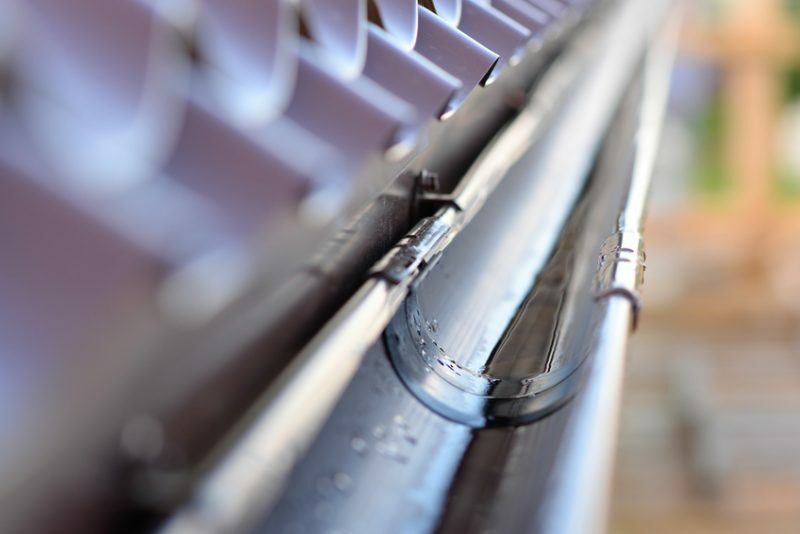 The global specialty gases market is forecast to surpass $14 billion by 2026, and experts say that elevating and anchoring your gas tanks above the flood level in addition to your air conditioning unit and generator is the best way to potentially save these essential backup facilities. It only takes a small amount of water to damage these essentials and render them useless. Remember, home flooding isn’t always caused by heavy rainfall. A flooded sewer system is also a common issue that can cause sewage to back up into your home. For this reason, the Insurance Institute for Business and Home Safety recommends homeowners install some sort of exterior or interior backflow valve. Gate valves are also ideal; they’re more complex and need to be operated by hand, but their seals are more protective than most check and flap valves. Whichever option you choose, make sure to hire a professional for installation and annual inspections. Experts say these types of valves should be installed on all of the pipes entering your home. Ultimately, flood prevention is about staying proactive about these measures and understanding your home’s ongoing risk. Again, don’t hesitate to contact a professional for the most specialized advice regarding your home’s flood plan. These are great tips. It seems like the rain is never going to end where we live. There have been problems in our area with sewage backup with the heavy rainfall. Also, watch out for chimney repair. Our complex just had the maintenance man douse the chimney with tar instead of having it repaired, as it had been leaking and ceiling falling down and wall pushed out for over a year. Now a new problem to deal with. Have repairs done correctly, have your roof inspected every few years, including the chimney.